Medical treatment for weight loss and long term control may be considered if all else have failed. Singapore General Hospital (SGH) Obesity Metabolic Unit, LIFE Centre outlines the various options. your doctor before taking any weight-loss drugs. If you are unable to lose weight with exercise and diet control, you can seek medical help. Medical options include weight-loss drugs, liposuction and bariatric or metabolic surgery. 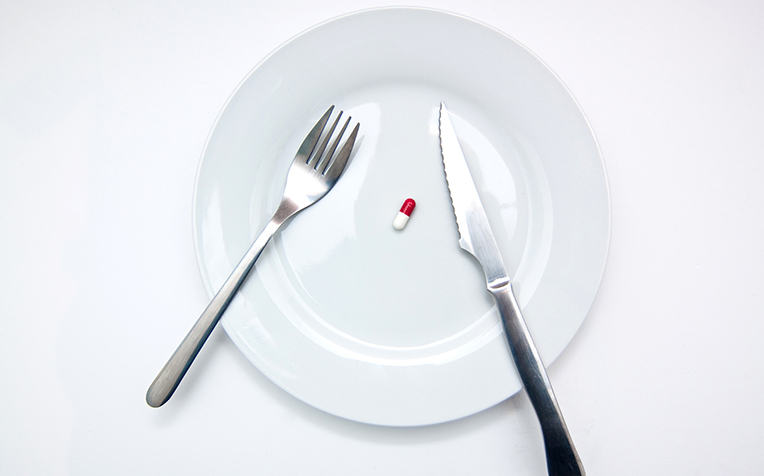 There are 2 types of weight-loss drugs, one to suppress the appetite and the other to reduce the absorption of fat from food in the intestines. Weight-loss drugs may be suitable for people who have health problems such as diabetes and hypertension related to their excess weight. Typically, these people have a BMI of over 27 and have not been able to lose weight with exercise and diet control. Your doctor would have to consider your health history and other medications you are taking, before prescribing any weight-loss drugs. Liposuction is a cosmetic procedure in which fat is removed from fleshy parts of the body such as the abdomen, thighs and buttocks. However, this is essentially an aesthetic procedure and doesn’t cause significant weight loss. It is more suitable for patients who want to improve the contours of their body. Weight-loss surgery is recommended for severely-obese patients who have not benefitted from diet and exercise intervention, or weight-loss medication. This type of surgery is referred to as bariatric, adapted from the Greek word “baros” which means weight. In recent years, bariatric surgery has been found to be effective treatment for more than just obesity. It has namely proved to be beneficial in the treatment of obesity-related diseases such as diabetes. Hence, bariatric surgery is now sometimes called metabolic surgery, to refer to surgical intervention for the treatment of metabolic diseases. “However, even with medical and/or surgical intervention, you will need dietary and exercise support to maintain your weight loss,” says Dr Tham Kwang Wei, Senior Consultant and Director of the Obesity Metabolic Unit, LIFE Centre,Singapore General Hospital (SGH), a member of the SingHealth group. "There is just no getting away from these two key elements of weight management."